Here at Garden Furniture World we are the largest stockist of Kettler Garden Furniture in the U.K. and have been working with Kettler for over 10 years. 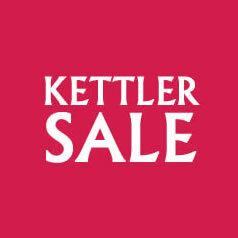 Our sales staff have an extensive knowledge of the garden furniture range and our department stores in Lancashire and North Yorkshire offer a selection of the Kettler range for you to view. On our website we offer the full range of Kettler products with a convenient home delivery service - some with a free premium two man delivery to room or area of choice! Contact us today for the most competitive prices and product information on Kettler garden furniture. 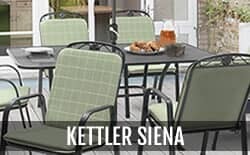 Kettler are constantly looking to develop their ranges of metal, wicker and casual dining garden furniture working out ways in which they can enhance and improve upon their large selection of chairs, tables and accessories putting versatility at the core of all the garden furniture they create. 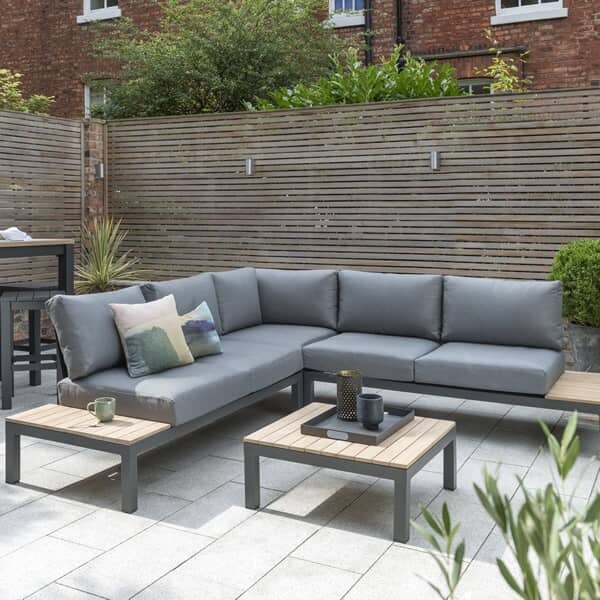 Kettler garden furniture offers simple ergonomic designs combined with durable builds all of which can be combined with other pieces from within their ranges to give the flexibility to create a set to suit whatever size or shape of space is available in an outdoor living area. The changes which Kettler have made for 2016 include simple things such new fabrics for the cushion options available from the metal furniture ranges and some well thought additions to the casual dining range broadening it's suitability to be used across a wide selection of garden spaces. 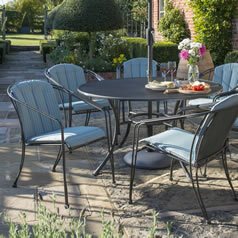 Kettler's casual dining concept and range was originally designed to create a versatile and flexible collection of multifunctional garden furniture that can be used for relaxing, socialising or dining and the range has proved to be immensely a popular choice ever since it was introduced a few years ago. Ever since it's successful introduction customers have requested that Kettler produce smaller sets within the casual dining range so it can be used over an even greater range of garden shapes and sizes. After listening to these comments and feed back Kettler have further expanded the range of possibilities for their casual dining range in 2016 by introducing two smaller and compact sets, the Palma Mini Corner Set and the Palma Cube Set which, like all the other items in the range, are available with a Rattan or White Wash coloured weave with deep Taupe coloured cushions which offer the same design and quality, but are much more suited to a limited space. The Kettler Palma Cube Set can be used in two distinct ways, either as an extension to a Palma Sofa Set or a Palma Corner Set to boost the seating capacity or to be used independently as a compact stand alone dining set when space is tight on a patio or terrace. The Kettler Palma Mini Set and Kettler Palma Cube Set are suitable both for indoor use in a conservatory and outdoor use in a garden, on a terrace or on a patio as, like all furniture in the casual dining range, it is weather proof and virtually maintenance free being constructed from a UV resistant 5mm half round synthetic wicker that is woven by hand around a light weight aluminium frame. 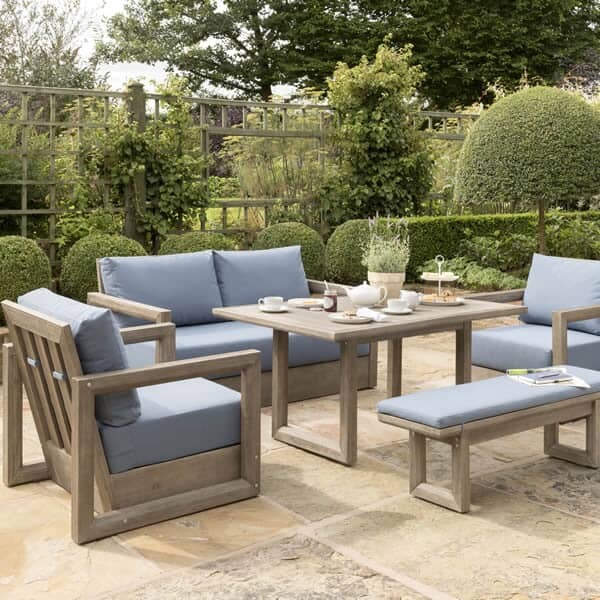 All our garden furniture is delivered from us in Clitheroe, Lancashire and we aim to deliver your garden furniture order quickly with free delivery on orders over £100. In the unlikely event that you find garden furniture listed elsewhere for cheaper, we will try to match that price. 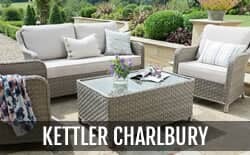 Kettler has been manufacturing garden furniture for more than 60 years and, in this time, they have produced various ranges of highly sought after, long-lasting, and weather resistant garden furniture. However, it was the introduction of Kettler Royal garden furniture that really brought the name to the attention of homeowners and buyers in the UK. A 3 year guarantee against rust was extended to a 5 year guarantee; an extremely useful feature for UK owners, and one that has become synonymous with the Kettler garden furniture brand. Although the name has actually been changed to the Classic Garden collection, the range still offers the same level of high quality and the same rust guarantee. 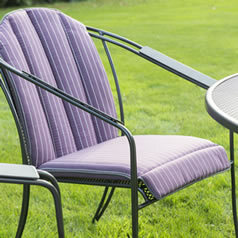 Garden Furniture World is the largest Kettler garden furniture stockist in the UK. We have Kettler garden tables, chairs, cushions, parasols, and other accessories like loungers and a host of covers and storage options. 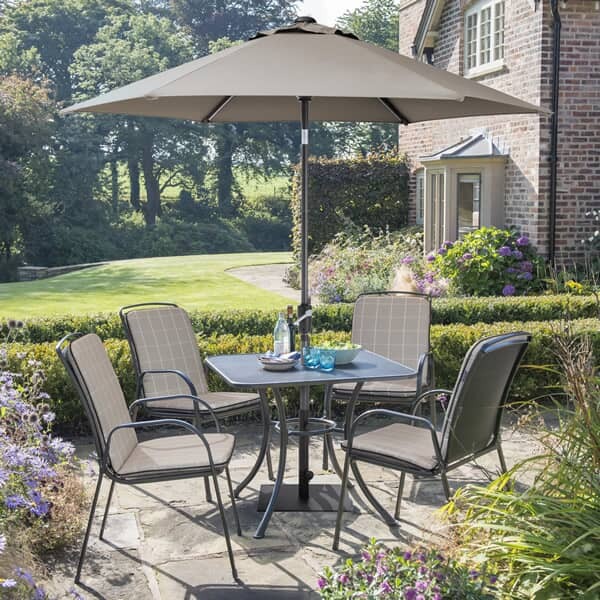 Whether you like to entertain in your garden, sit out with the family, or you want great looking patio furniture to enhance the look of your garden, we have the products for you. 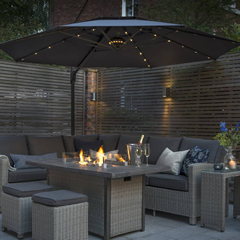 Metal Kettler garden furniture utilises aluminium frames and combines these with mesh coverings. Aluminium is a lightweight metal, and once treated it can remain rust free for several years. 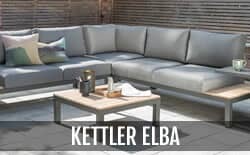 The mesh used in Kettler outdoor furniture is similarly light, which means that their metal furniture is easy to move and extremely convenient, while also being strong, robust, and resilient. 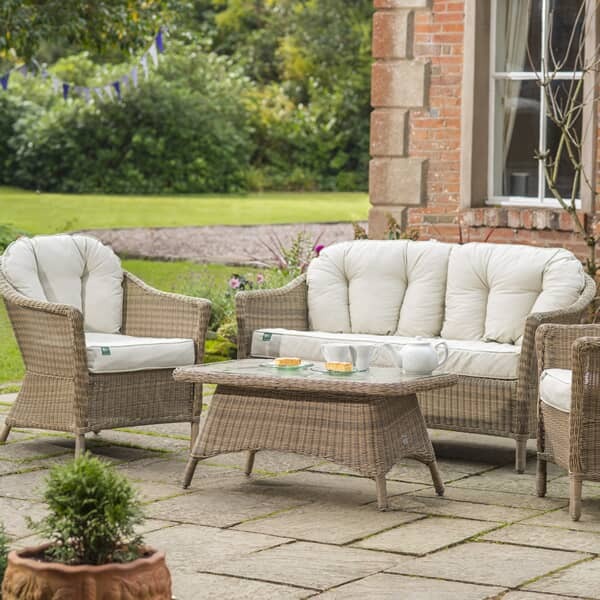 Wicker furniture is weatherproof, requires very little maintenance except the occasional clean, and it is available in rattan or whitewash finish. Wicker furniture sets come with between two or six chairs, can include a parasol and base, and may even incorporate storage units. The British summer is unreliable. Even a seemingly sunny day can turn in an instant, leaving you in a puddle of rain. If your garden furniture isn't waterproof, you will be left having to clear it away or placing the waterproof cover over the top; it's uncomfortable and it ruins the whole experience. With weatherproof Kettler garden furniture, you don't have to worry about moving the furniture indoors or covering it up. While you should still grab the cushions, you can head indoors until the rain passes before going back out to spend more time in the garden. 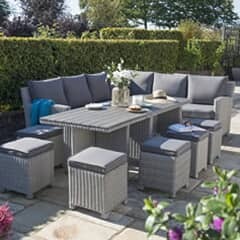 Siena - Kettler Siena garden furniture is wire frame patio furniture that is lightweight and, therefore, easy to move around. You can buy individual and twin chairs, as well as rectangular tables in a variety of sizes and dimensions, which means that you can create the perfect customised garden furniture set to suit your requirements. We also stock Siena garden chair covers, which are designed for outdoor use and ensure excellent levels of comfort while sat in the garden. 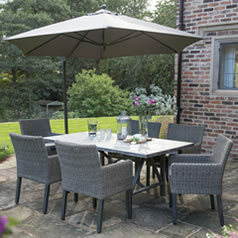 Palma - Kettler Palma garden furniture is part of the casual dining range. This furniture aims to combine the benefits of both dining furniture and a patio lounge set. 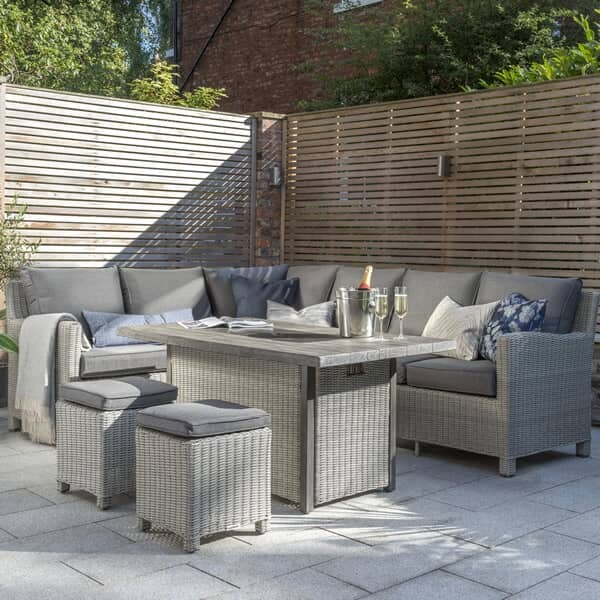 Whether you are limited with the amount of space you have on the patio, or you simply don't need both a lounge set and dining set, the Palma range is ideal. The Palma Mini set is ideal for smaller patios, while the Cube set is a minimalist design, and the Sofa set offers total comfort while still providing a more formal setting for sitting and dining. 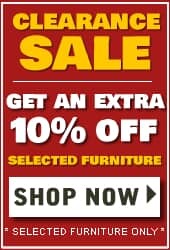 Buy entire sets, individual items, and accessories from Garden Furniture World today. Classic - Originally the Kettler Royal garden furniture series, the Classic garden furniture set is the flagship of the Kettler garden furniture range. 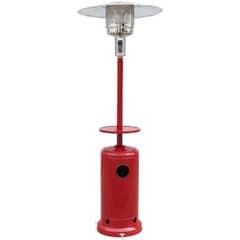 It is designed to last, even when left outside in the Great British summer and winter months. 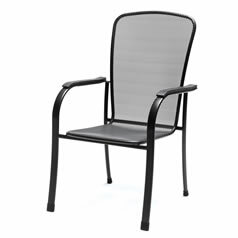 It has a classic design, can enhance the look of your patio area, and it comes with the 5 year rust guarantee that helped Kettler become such a popular name in garden furniture. Madrid - Kettler Madrid garden furniture is a corner patio furniture set. It includes a large corner settee that is perfect for either casual lounging or for dining, and you can also buy chairs and a matching bench, which is designed to fit under the end of the table. The furniture is made with an aluminium frame and a choice of white wash or rattan wicker covering. The set comes with taupe cushions, and the table is glass covered which makes for easier cleaning and a harder wearing surface. As well as standard tables, in varying sizes, you can choose tables that extend from 4 seater to 10 seater capacity. There are round and rectangular tables, those with a Luzy Susan. There are aluminium framed, mesh or wicker topped, and there are those tables that have an additional glass layer for extra protection and an even better looking finish. 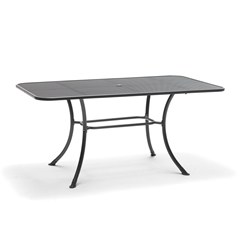 Garden Furniture World has a selection of Kettler garden furniture for every requirement. You can also buy benches and storage benches, which allow you to store items that you might use while you're in the garden, for example barbecuing equipment or outdoor toys. Cushion boxes are an ideal place to store your chair cushions when they're not being used. Not only do we have a fine selection of Kettler garden furniture, but we also have accessories to enhance the experience even further. Covers are ideal because they offer protection for your patio furniture. Although Kettler garden furniture is designed to offer weather resistance, you can provide further protection to prolong the life of your furniture. We also stock gazebos, which can offer extra cover when you're outside, while daybeds and loungers are comfortable and alternative seating options to enjoy during the warmer months. 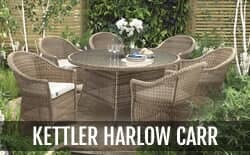 At Garden Furniture World we stock a large selection of patio furniture, and we are the largest Kettler garden furniture stockist in the country. We stock tables and chairs, as well as sets like the Siena, Palma, and Madrid sets. 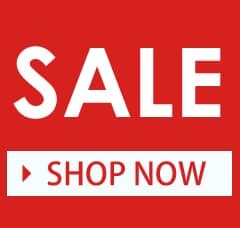 We also sell gazebos and loungers, and if you spend more than £100 you receive free delivery of your garden furniture, straight to your door.